Throw a Star Wars birthday party for your little Jedi and see just how strong the Force is in them! 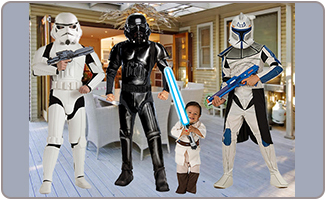 We have number of great Star Wars birthday party ideas in India that can make this a birthday that they won't soon forget. 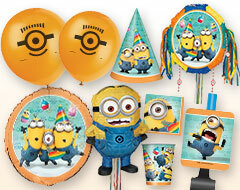 Get a jump on planning the Star Wars birthday party by ensuring that you order your Star Wars birthday party supplies at least 4 weeks ahead of the party date. This will give you ample time to buy additional supplies should they be needed, and will help to ensure you have everything on time – just in case there are shipping issues or supplier shortages. Plan to host the party in an area that will allow ample room for running around. If your home and backyard are not big enough then consider an area park, beach, recreational center, or your local YMCA. Consider hosting the Star Wars birthday party as a costume party. Even if you wind up with several Lukes or Chewbacca, it will all be in the name of fun! If the age group is right for it, a sleep over is a fun choice that will also let you feature the Star Wars movies as entertainment for the kids. 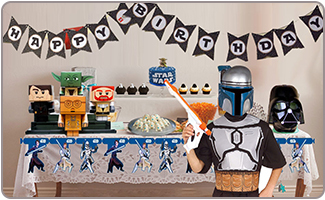 Shop for Star Wars birthday party supplies that includes themed Star Wars birthday party invitations that will save you plenty of time and effectively introduce the party guests to the Star Wars theme. Plastic light sabers attached to a notecard-styled invitation are a fun introduction to the theme, and also gives the guests an accessory for their costumes on the party day. Invitations that include stickers and die-cuts of various characters from the movies are a great touch, especially when partnered with some invitation wording that includes "A long time ago, in a galaxy far, far away…" or "The Jedi Council invites you to complete your Jedi training…"
Images of Yoda are popular, using poster board and some creativity you can transform the poster board into Yoda invitations that of course have to include some Yoda-speak. "Invited you are!" An extra touch to the Star Wars birthday invitations envelopes could include getting some Star Wars stamps from the post office and affixing them to the envelopes. 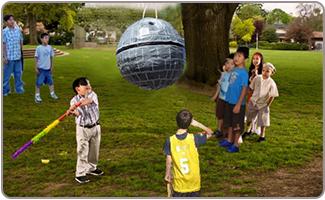 Some Star Wars party ideas for fun-filled games include a pinata that resembles the Death Star. If you can't find one readily available, consider painting a soccer ball piñata to resemble one instead. Add a fun twist to the game of tag by designating one of the party guests to be a Jedi, while the others are Sith that need to be chased. Once a Sith has been tagged by the Jedi, he turns into a Jedi and helps to capture more Sith! Place little gifts and tasty sweet treats inside of aluminum foil and hide them around the house and the rest of the party area. Have the party guests search for these asteroids or moon rocks! 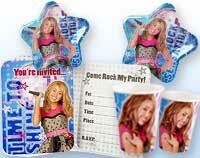 Print out pictures of several Star Wars characters and tape one to the back of each party guest. The guests need to figure out who they are by asking questions of their friends. "Am I a Jedi? "Do I have a light saber?" The goal is for each guest to determine who they are, using the least number of questions. A Star Wars trivia game can be a fun option for older kids who are self-confessed Star Wars buffs. Divide the party group into two teams, one team being the Clones and the other being the Droids. A potato sack-styled race can be a lot of fun as the Clone Wars are recreated! A three-legged race or an egg on a spoon relay can be fun alternatives to the potato sack race. It should go without saying that a light saber is a great return gift for a Star Wars birthday party. 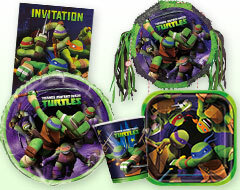 Inexpensive and fun, they are just what every little Jedi needs to go home with. Star Wars stickers, temporary tattoos, coloring books, and pencils can inspire creativity in your little Jedis. 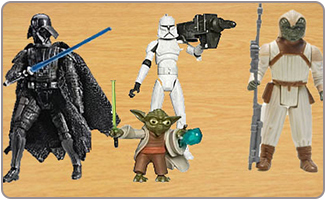 Star Wars figurines are inexpensive and can inspire the kids to start their own collection of Star Wars figurines. A copy of one of the Star Wars movies can provide entertainment to the little Jedis. Lego has a line of Star Wars toys, including little sets that will make great return gifts. In Episode IV, Luke drinks Bantha milk with his dinner. This can be recreated by either adding a bit of blue food coloring to milk, or by creating a fruit-flavored non-dairy drink that includes a cup of vanilla soy milk, a tablespoon of sugar, and one half teaspoon of blue fruit punch crystals. Create tasty light sabers by dipping three quarters of pretzel sticks in white chocolate that has been dyed in blue, green, and red food coloring. With some jello molds and a few plastic figurines of Hans Solo, you can recreate a milestone scene from the movies. 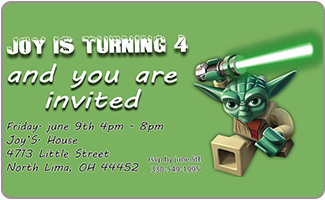 Create one for each party guest so they can get their own Star Wars birthday party keepsake to take home with them. Some Star Wars birthday party ideas for the birthday cake could include a sheet cake decorated with some Star Wars cake toppers, or cupcakes decorated with mini fondant light sabers. Adding two small Oreo cookies on either side of a frosted cupcake will result cupcakes that bear a striking resemblance to Princess Leia. 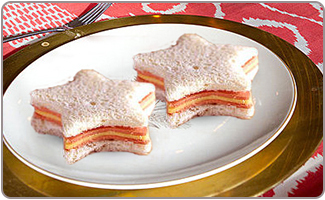 Including a lot of return gifts is a great idea, especially when you add some Star Wars themed descriptions to the party foods. Vaders veggies, for example! Star rocks could include a selection of trail mix and fruit. Hans Solo's Rolos are a fun sweet treat. 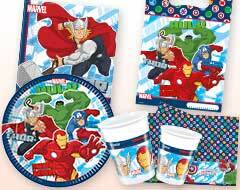 Some Star Wars birthday party decorating choices include themed tablecloths, paper or plastic plates, cups, straws, napkins, and serving bowls. If a Star Wars birthday party themed table cloth is too busy for your personal tastes then a black or solid red table cloth may be the better choice. There are a lot of Star Wars balloons to choose from, both Mylar latex and party balloons. 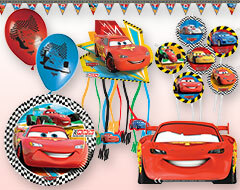 Get a good selection of balloons to add a nice festive vibe to the party. 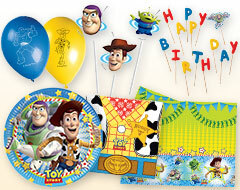 Streamers and a nice-sized birthday banner are a great addition to the party space. The banner could include wording and phrases from the movies: "May the Force be with you!" 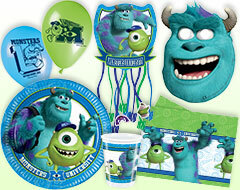 And "Birthday party it is! 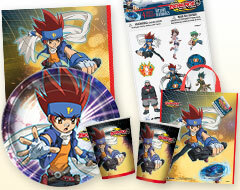 Fun we will have!" 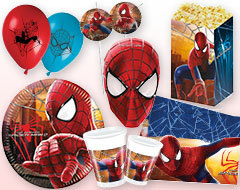 Posters,cutouts, hanging decorations of different characters from the movies will be a great decorating touch on walls, windows, and doors. Suspend Star Wars toys and action figures from the ceiling – a Death Star may just be the dark side touch that the party needs! Using construction paper, glow sticks, and cellophane, you can create large light sabers on the wall. Simply tape the glow sticks to the cellophane and attach the light saber to the wall for some glowing fun.